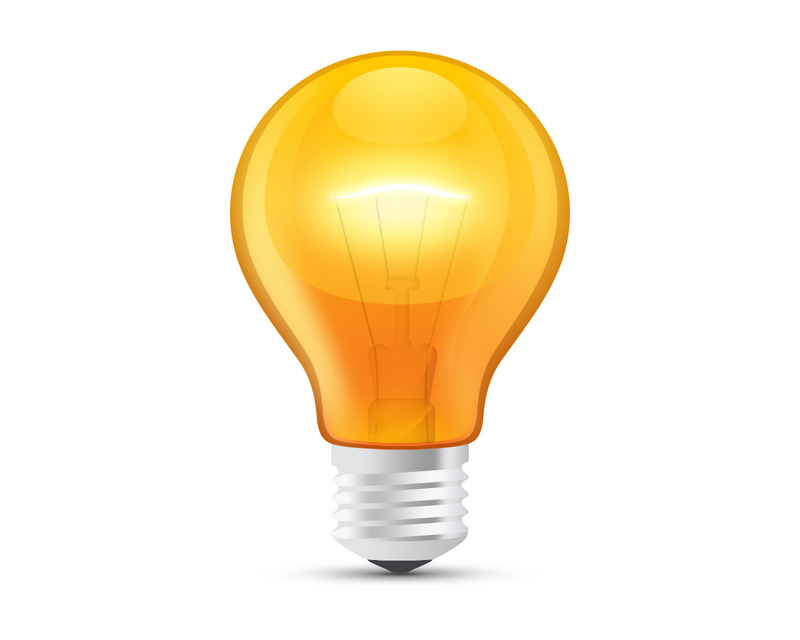 There are many programming languages being used today for many purposes. In those HDL is one programming language. Then today let us learn what is this HDL and why it is used. What is HDL and why HDL? Hardware Description Language (HDL) is a Computer-Aided Design (CAD) tool for the modern design and synthesis of digital systems. It is used to verify complex designs before they are manufactured by any company. Once the design is made ready it is written in form of code and will test the components connections and behavior. Once it is verified thoroughly then the circuits will be manufactured. They are generally realized by programmable chips like Application-Specific Integrated Circuits (ASIC) and FPGA's and would require CAD tools. HDL is one such CAD tool. VHDL stands for Very High Speed Integrated Circuit (VHSIC) Hardware Description Language. It was developed in early 1980's under the VHSIC program. Many companies were involved in designing VHSIC chips for US Department of Defense At that time each company used their own HDL which provided them only gate level design tools. So the need for standard HDL was generated. IBM, Texas Instruments and Intermetrics was given the work of developing a powerful standard HDL based tool by DoD. First publicly available standard was VHDL version 7.2 in 1985. In 1989 this VHDL was made to standardize by IEEE. In 1987 it became IEEE Standard 1076-1987.In 1993 VHDL was updated and more feature were added to it to become IEEE standard 1076-1993. In 1983 Gateway Design Automation developed a hardware description language for its newly introduced logic simulator, Verilog-XL. 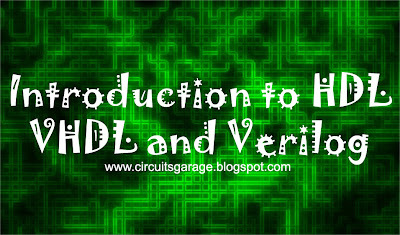 In 1990 Verilog HDL was available as public domain. In 1995 Verilog HDL became IEEE standard 1364-1995. The language is currently maintained by the Open Verilog International (OVI) organization. Verilog code structure is based on C language. That's a brief introduction of HDL. 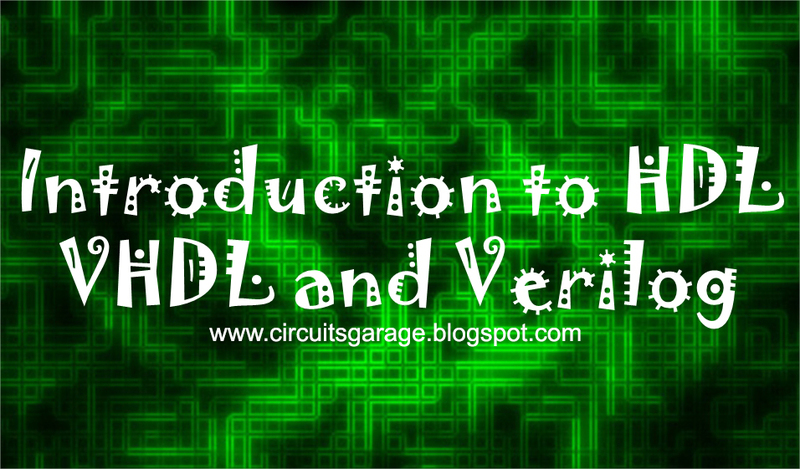 We will be posting more about HDL like some basic programs to verify some digital circuits. In my next post i will be providing software to debug and run and your HDL codes. Have anything to ask. Just comment below. 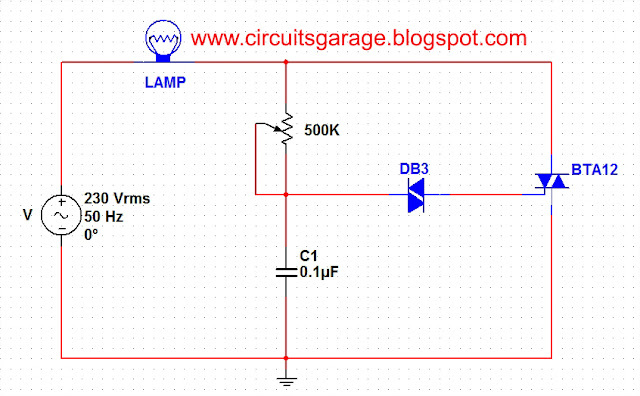 Light dimmer circuit is using to adjust the illumination of lamp. The below circuit shows the basic TRIAC triggering circuit using DIAC. Here in this circuit the light illumination is controlled using TRIAC and DIAC. The resister and capacitor are connected in series. The capacitor is made to charge through the 500K resistor. When the capacitor starts charging and when it reaches above the breakover voltage of DIAC, it starts conducting. Hence capacitor voltage is applied to TRIAC gate and it turns-on. The charging of the capacitor can be controlled by the variable resistor. Which indirectly controls the firing delay of TRIAC. 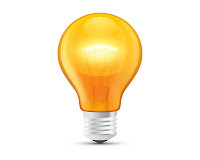 You can do this circuit and vary the illumination of the bulb. 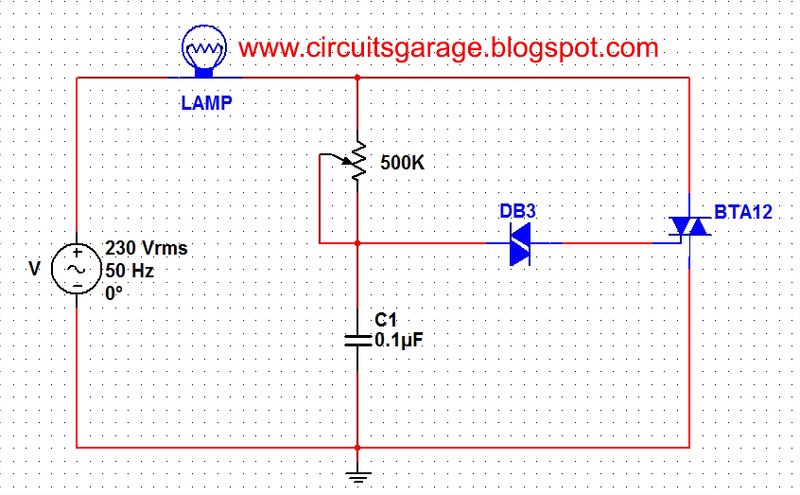 Hope you all like this basic light dimmer circuit. Feel free to comment.